﻿ Amrap's AirIt | Australian Music Radio Airplay Project :: Country :: The Pigs - Sterilised! Humidified! Sleep Deprived! Amrap's AirIt | Australian Music Radio Airplay Project :: Country :: The Pigs - Sterilised! Humidified! Sleep Deprived! The Pigs - Sterilised! Humidified! Sleep Deprived! The family that plays together, stays together and bluegrass band, The Pigs, are living proof as they prepare to unleash their first all original album on the world. 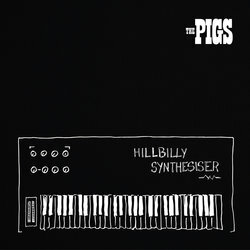 Having played music together in the hillbilly mountains of Australia for many years, some say hundreds of years, The Pigs decided in 2004 to come from the remotest corners of the outback to form the band in Sydney. Once the word got around that the family band had gone public with their brand of bluegrass, they were unstoppable and the fans came trotting in. Highlights of The Pigs’ 13 years on the Australian highways include performances at the Tamworth Country Music Festival, The Gympie Music Muster, Woodford Folk Festival, The Deni Ute Muster, Port Fairy Folk Festival, Broadbeach Country Music Festival, and Queenscliff Music Festival. This is one for the parents out there! Celebrating all the joys of babies with appropriate humour and a bed of banjo, this track from The Pigs will have you up and dancing, while possibly rocking a baby to sleep, and wishing for just an hour or two of sleep.